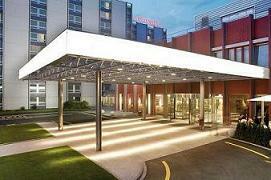 Welcome to Switzerland and to Mövenpick Hotel Zurich Airport. This special airport hotel with its characteristic flair will give you the best starting point for your business and vacation destinations from its central location where Zurich’s city centre, trade fair and airport are close by. We will provide you with professional service, comfort and culinary delights second to none. Our spacious rooms with their heavenly oversize beds will ensure a relaxed stay and refreshing night’s sleep. We have a multi-function event area with state-of-the-art conference facilities for conference attendees.